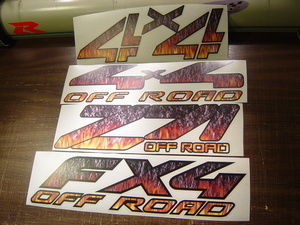 These decals measure the same size as the factory decals and are in the flamed print shown. You get 2 decals with your order. Simply specify which style you'd like at the time of payment or simply send an email to [email protected] and include your shipping name so we can match you up with the correct order.